Versace is a multi-faceted, revolutionary and ever-evolving fashion house. For more than three decades, the Versace brand has been synonymous with sensuality, luxury and rock and roll glamour. NEO has been an agency partner on a variety of recent marketing initiatives including a vision book and direct mail campaigns. To showcase the Versace brand to their employees, NEO created a Vision Book— a manifesto that presents a visual history of the storied fashion house. 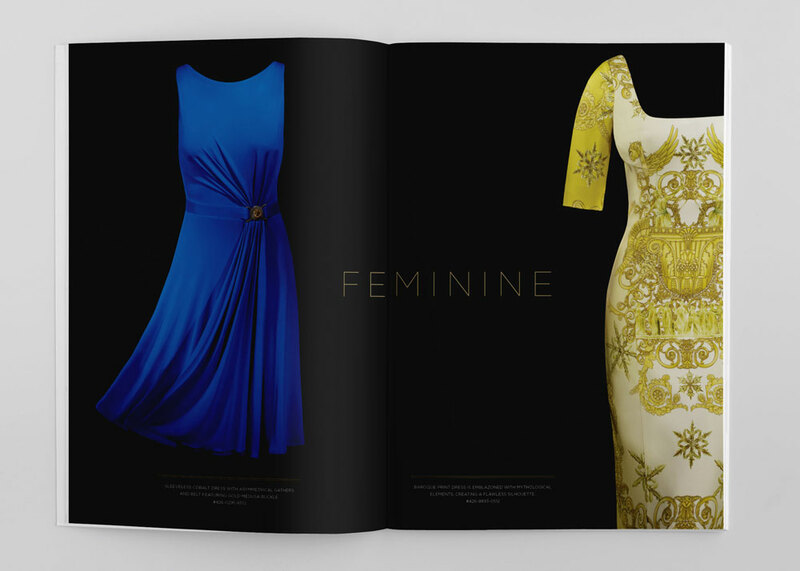 The book resonates with a provocative mix of contemporary and archival images paired with a bold design approach that reflect sensuality and innovation, qualities which have become Versace hallmarks for more than three decades. 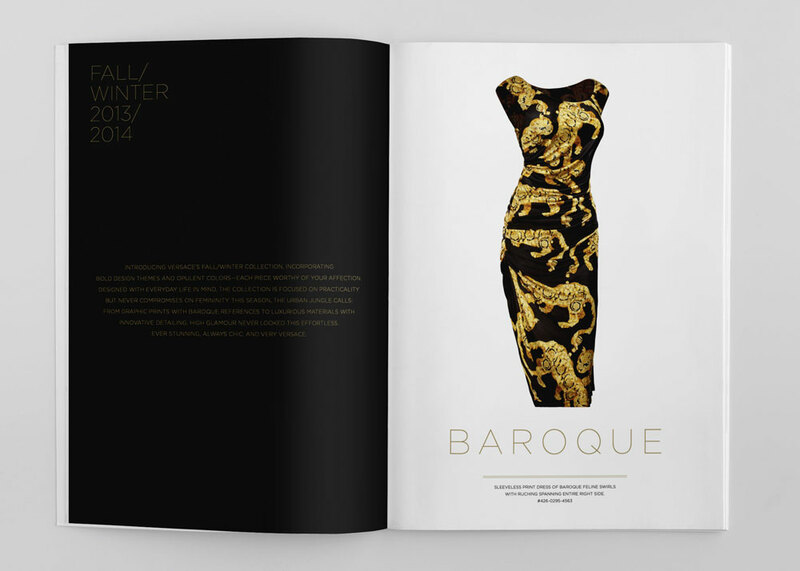 Producing a high-end mailer on a limited budget, NEO eschewed the use of models in favor of simplicity and impact. Every look was photographed against a white or black backdrop, letting the luxurious materials, bold design themes and opulent colors take center stage. NEO created a direct mail campaign that embodies the dual personality of this Versace collection: hard and soft, leather and floral, edgy and romantic. Aptly titled “Rockmantic,” closely cropped images showcase the unique details and exquisite tailoring of each look while minimal typography and messaging capture the spirit of the Versace woman. Targeted to the upscale Nordstrom clientele, Versace wanted to market the collection through their direct mail channel; in a way that was approachable and attractive to younger, fashion-forward customers. NEO employed bold, primary-colored backdrops to showcase the collection's edgy youthfulness. 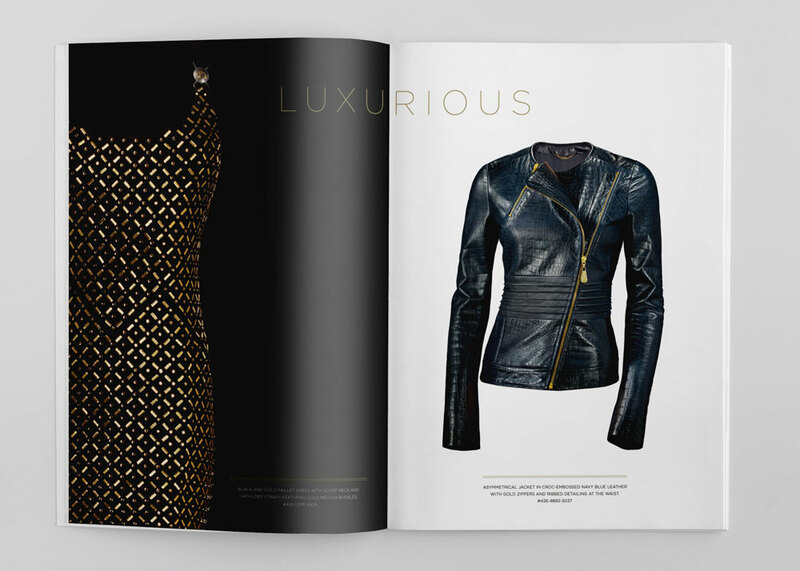 A dust jacket captures additional looks from the runway and gives the piece the feel of a high-end lookbook.